Once your beautifully designed website is live on the web, it is important that your customers and potential customers can find you. 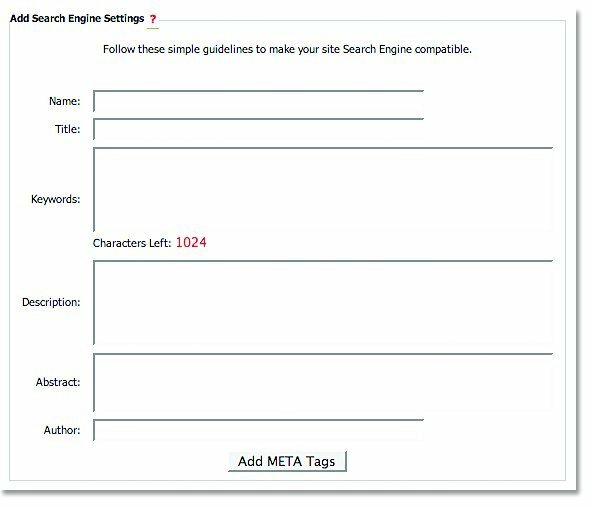 The Search Engine module is used to create keywords and other descriptions to help your site achieve higher placement in search engine displays so that you are prominently placed, ideally ahead of your competitors. In the Main Admin section, select Search Engines. 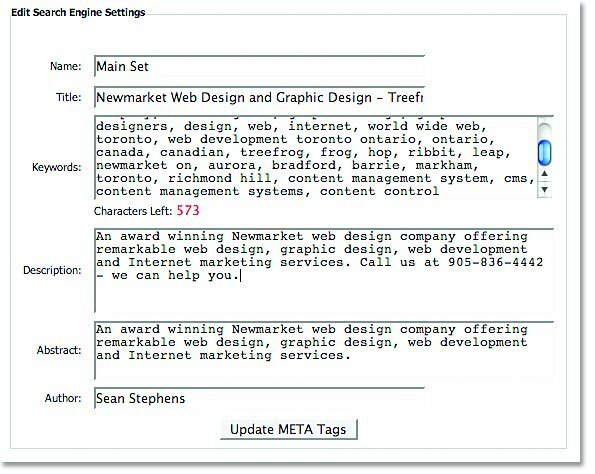 Type	required	information	and	select	Add	META	Tags. In	the	Main	Admin	section,	select	Search	Engines. Make	the	required	changes	and	select	Update	META	Tags.